The truth is that dating isn’t easy for anyone and especially if you are dating someone that is different from what you are used to having. If you are from any other part of the world and want to date a Canadian, you need to prepare yourself for something a little different. It may seem a little weird to you, but you will get used to everything soon enough since Canadians are some of the best people to date. They are very polite and well- mannered so you can be sure that when dating in Canada, you will be in great hands. Canada is a pretty cold country all year round in most of the parts, so you need to dress the part lest you get very ill. For this reason, many Canadians do not dress up to go out on a date unlike people from most countries since it is impractical. This does not go for all people from Canada but if you come across it, do not misinterpret it for luck of interest, it’s all about being practical and warm. Most Canadians love their sports a little bit too much for people whose version of a sport is playing fetch with their dog. 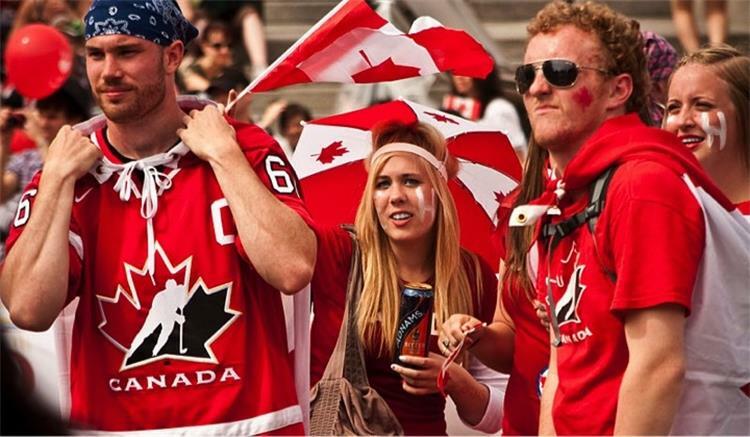 Hockey is particularly popular in the country so it would be a good idea to learn more about some of the local teams. It will help you come up with great topics for conversations if your partner is into sports and going to watch a game is also a great idea for a chilled out kind of date with drinks after. Canada is a very diverse country with differently cultured people so you would be wrong to put them all under one bracket as most people do. There is a lot to learn and experience, and it will help making dating easier if you can open yourself up to learning more about the people. This will allow you to understand the people that you are meeting better. Netflix and chill is a pretty good plan to have with your partner but if the weather is looking good, Canadians like taking advantage of it. This is why most like engaging in outdoor activities such as hiking, picnics or canoeing. Aim to impress with great outdoor ideas for dates. Canadians are quite polite and honest in nature, so you need to learn to be in touch with your feelings. Teach yourself to admit when you are wrong and apologize for it or express yourself openly since you are more likely to receive a positive reaction than if you hide things and become very private. Dating in Canada is an adventure since things are a bit different up there, but it is one that is filled with so much fun and laughter. This is why if you get a great Canadian partner that completes you; you will be wise not to let them go. looking for a single dad age 39 – 43 years old..